12-CDs full of Truth and words that will help you stay focused off of the food while you wait for God's timing to eat. A must for every car ride! When you feel a passion for food not caused by stomach hunger, turn on one of these CDs and find yourself refocused and filled up on a passion for Him. 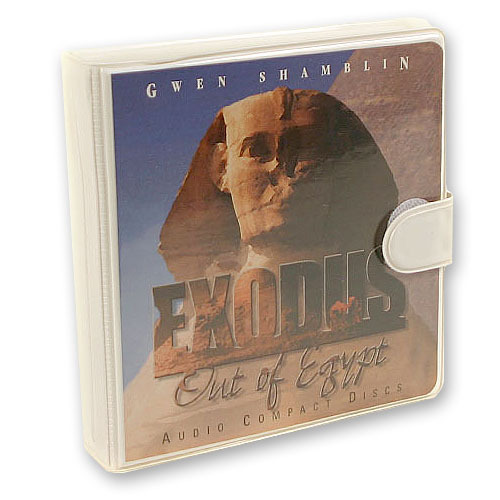 These CDs are from the original EXODUS Out of Egypt Seminar. Start with “The Heart of the Matter,” move to “How to Measure Success,” find out how to counteract “Lies” and more. Includes a convenient carrying case so this 12 CD set can go where you go!